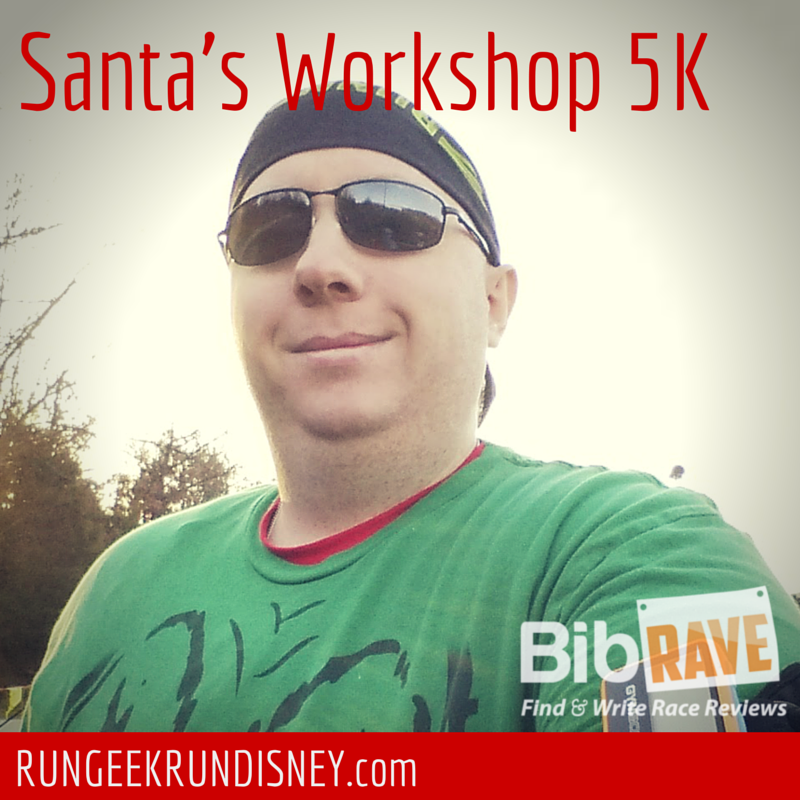 I recently ran the second leg of the BRATS Holiday 5K series, a set of three races that earn you a special medal for completing all three. I previously posted my review of the Chris Yung Memorial Turkey Trot, a race with I really enjoyed. This next BRATS race didn't disappoint either. This race, put on by Bristow Tri and Swim, benefitted USMC Toys for Tots program. While the race was a bargain price to begin with ($25) you could save an extra $5 by bringing a toy. Sure, you'd spend more than that on the toy, but it isn't really about the money, is it? It's about toys for boys and girls who otherwise may not get one. That's something always worth giving towards. I went with a semi costume for the race. 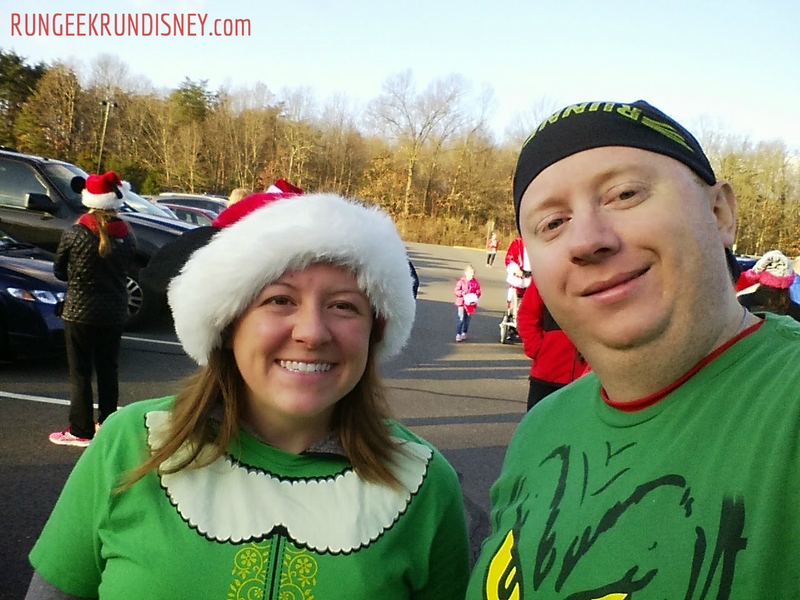 Not as complete as my snowman costume for the Christmas Town Dash 8K the week before, but I went with my Grinch face shirt over some long sleeve Under Armor and some Christmas ProCompression socks. Parking at the race was a cinch. It was held at the Northern Virginia Community College campus in Manassas. This meant plenty of parking and it was located right of of I-66 which means easy access. I did race day pickup, which was simple, as always at a BRATS event. There was a table set up right near the start / finish line. As it has been with every BRATS race I've done, there was a table with one person that would look up your name, another grabbed your bib and a third your shirt. The swag was limited to the shirt, but it was a nice Santa themed tech shirt. Yes, a technical shirt for a $25 5K. Hard value to beat. It was a little chilly first thing that morning, so after picking up my bib and shirt, I went back to my car to sit for a little (I had arrived plenty early as I always try to). I turned on the heat and some Christmas music to get me ready to go and in the spirit. So, I'm jamming out to Straight No Chaser, drumming along on my steering wheel when I make eye contact with someone walking back to their car, who then adverts her eyes. I notice a Mickey Santa hat on, and then thought "they look kinda familiar". I wonder to myself for a while, and then think that maybe it's Katie from Adventures By Katie. I may host a linkup with her, but I have never met her in person before. I decide to message her on Facebook as I get a notification... from her... asking me if I'm there. Welp, yeah, that was me. I was "that guy" in the car. On the positive side, I met my first person from the blogging and Twitter running world. We chatted for a bit, talked pace and run walk intervals and she decided to run with me. It turned out nice to have someone to run with for the race. 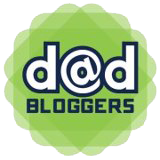 Gotta love the running and blogging community. The weather started a little chilly. As the race went on, it warmed up quite a bit, feeling almost spring like at the end. The field was pretty small, just 144 people, which felt especially small compared to the previous BRATS race that had just under 700 total. The course wasn't difficult, some slight hills but they were long and nothing too steep. It was an out and back course near the battlefield and I-66. A portion of it ran past some office buildings and businesses, which was less scenic. The turn around had the battlefield on the one side (nice) and the interstate on the other (less nice). The race was structured similar to the Turkey Trot they ran, where there was "one" water stop, but since it was an out and back, you could hit it twice. In the end, the race went by quickly, which I'll fully attribute to having someone to talk to. While my time didn't seem to keep as fast as I had hoped for pace wise on our tracking (Katie's Garmin and my phone), the official chip time was under my goal (12 min / mile) and another PR for 5K for the second race in a row. Hopefully, I can do the same in the last leg of the series in January. Post race, I grabbed my water bottle, free banana and a granola bar and chowed down quickly. 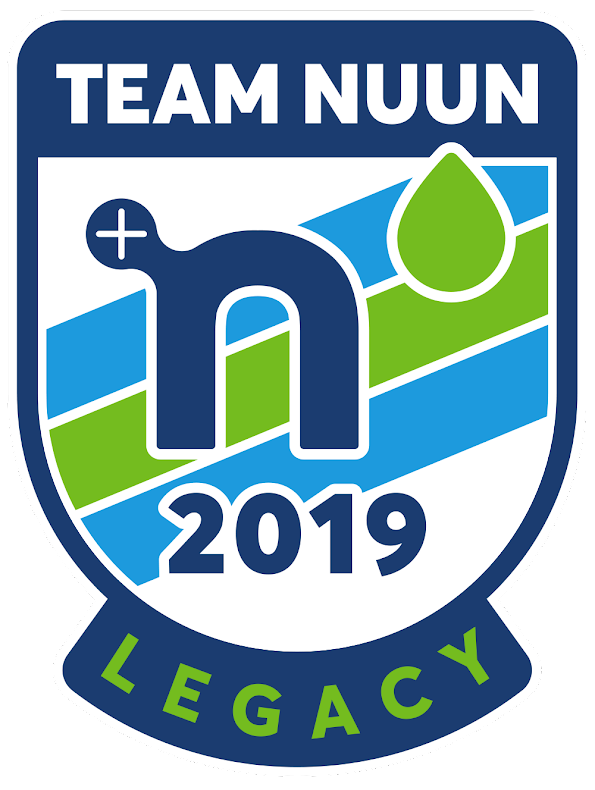 I snapped a Nuun in half to drop into the bottle, because that's just how I roll. I enjoyed the race. Great value. Small field. Did I get my money's worth? Yes, definitely if there is the Holiday Series again. Have you ever met someone at a race you had only known digitally before? Do you use BibRave.com? 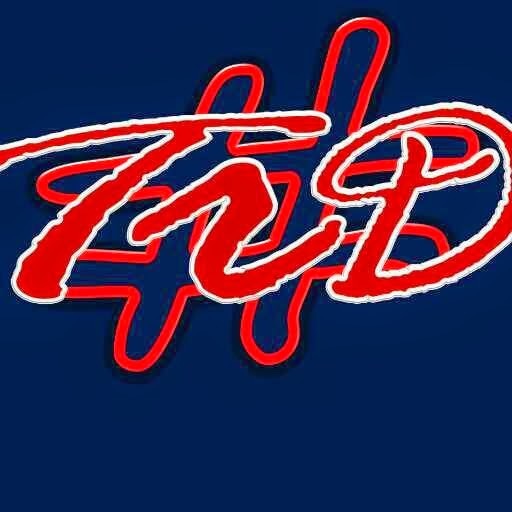 BibRave is a great site to find and review races. See real reviews by real runners like you. Go now and create a profile. Check out reviews for races near you. Better yet, why not review the last race you ran? While you're there, follow me. 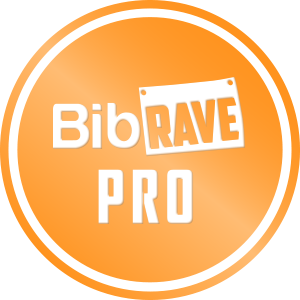 I'm a BibRave Pro (ambassador) and all the thoughts and opinions on my races are my own. I want you to find the right races for you, so I share what I've done and read the reviews of others on BibRave. Join the community now! Thanks. It was a pretty neat happens chance. Congrats on a Fun race! I love smaller races sometimes! Merry Christmas! Thanks. It was a fun time being a small race. Though if I was a year younger, I would have had an age group award (there was only 1 in the group below me). Merry Christmas! Hope you have a great one.